Successfully Added USB Pencil Sharpener - Gadget Desktop Accessory to your Shopping Cart. Gadget Workplace Accessory Pencil Sharpener, which gets all the power it needs directly from the USB port on Computer. For workers or students, always using a pencil, but never able to find something to sharpen it with, this is a nice little gadget to have. It will work with any OS, will collect all the pencil scraps in a removable tray for easy cleaning, and accept any standard size pencil. 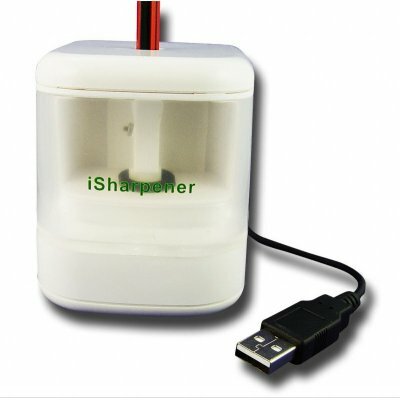 Buy or resell this USB Accessory Pencil Sharpener, with Chinavasions 1 year Warranty Policy and easy and fast International Delivery..